This book’s author is the leading researcher and expert on ADHD. Dr. Barkley explains ADHD, ways to be a successful parent of children with executive function deficits, and strategies to cope and manage ADHD. 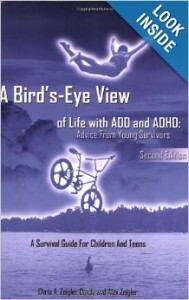 Chris Dendy is a parent of an ADHD child, is an acclaimed author and speaker on ADHD. 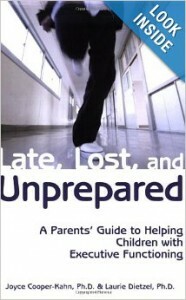 These books include strategies, research and treatment options. 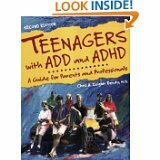 Suggestions for managing adolescents with ADHD are practical and helpful. This book is written for teens by teens. Teens share creatively and with humor their strategies for managing ADHD. 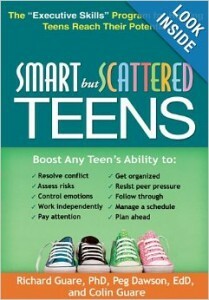 This newly released book is written to help increase a teen’s executive function ability. Charts for parents and teen to compare each other’s skills and styles offer insight. Specific solutions are offered. This book explains executive functioning and practical solutions to help build skills. 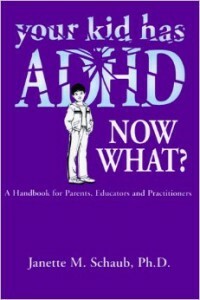 Your Kid has ADHD Now What?, by Jannette M. Schuab, Ph.D. Schaub, Beavers Bond Press, 1998. This book is available as a used book. It is an excellent overview of ADHD and parenting guidelines. 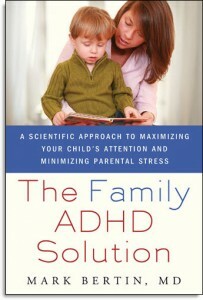 The Family ADHD Solution, by Mark Bertin, MD. 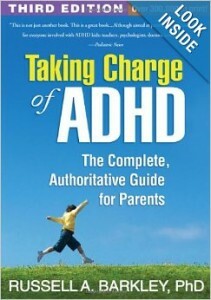 This book addresses the ongoing challenges and needs of parents of ADHD children. It describes the executive function challenges of managing ADHD, mindful parenting techniques, and strategies to manage ADHD. 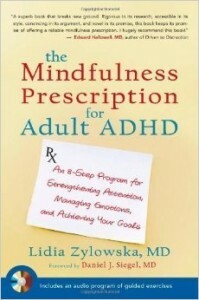 This book is written for adults with ADHD. It is easy to read and full of practical information based on research. It can apply effectively to young adults. This book is research based on the effectiveness of mindfulness. Learning mindfulness can help people increase their self-awareness and choices. It can increase awareness in the pause before action. Research indicates parents who practice mindfulness can positively impact their children. 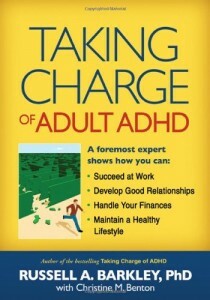 This book is written for adults with ADHD. Each chapter gives basic information about ADHD and practical steps and measurements to monitor management.